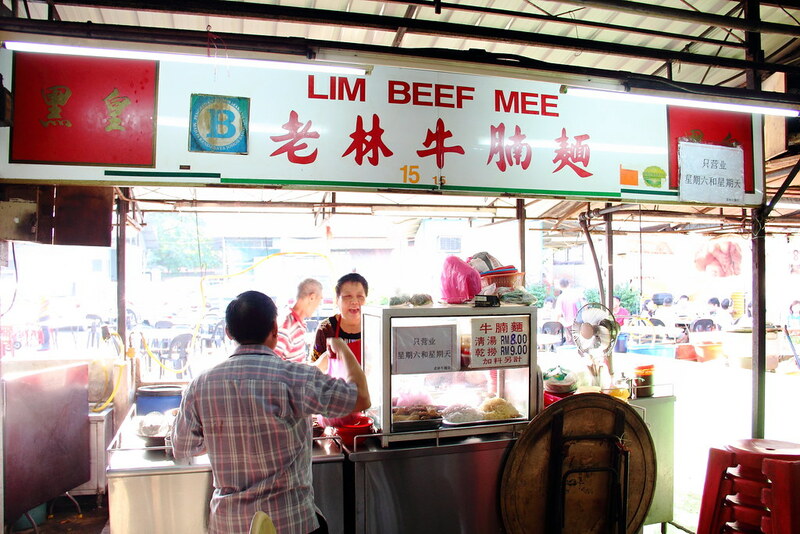 Lim Beef Mee at Taman Sri Tebrau Hawker Centre, Johor Bahru was never on our food hunting list. In fact, we already had our dinner and was making our way home when we chanced upon the stall. What caught our attention is the sign saying that they are opened on weekends only. 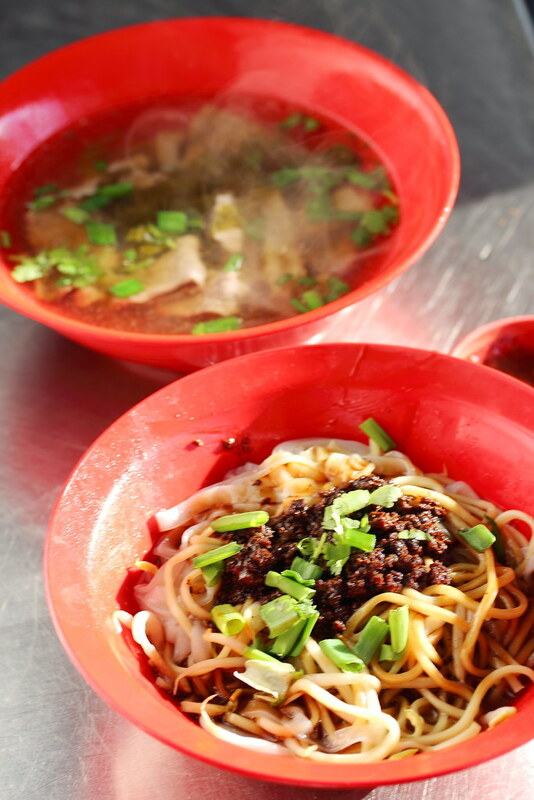 We have the Beef Noodle Dry whereby the noodle and soup is served separately. 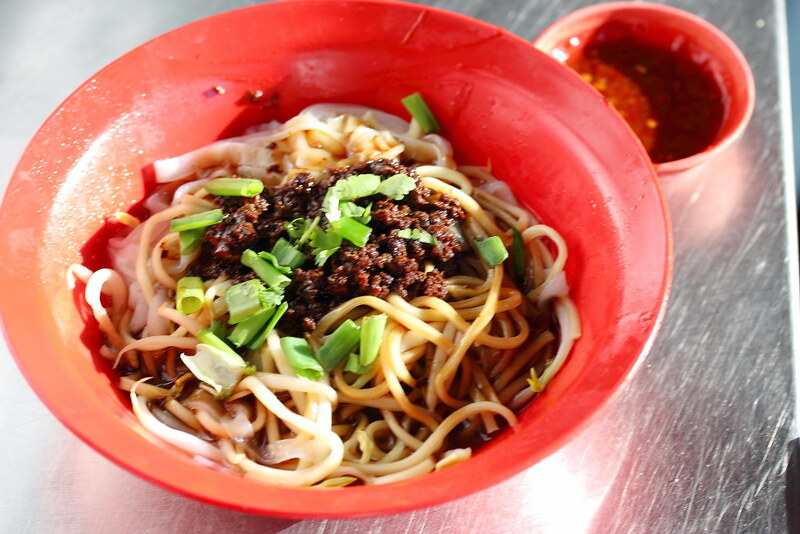 The noodle is a mix of yellow noodles and rice noodles, topped with minced meat. In the bowl of soup, there are ingredients such as salted vegetables, slice beef and various beef innards. I could not say this is one of the best beef noodles I had. The beef noodle has a rustic flavour in it. The bowl of clear soup, flavoured by the salted vegetables, simply allows the full appreciation of the nature flavours of the various beef parts in it. We managed to have a brief chat with the old couple manning the stall. 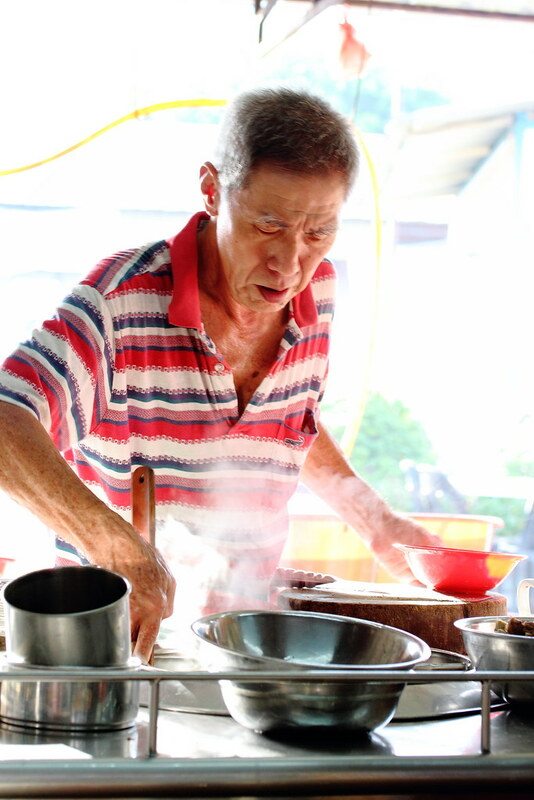 They having been selling beef noodle for the past 40 years. They used to be operating in downtown but has since moved here. However as age catches up with them, they do not have the energy to do it everyday now. Hence they are only open on weekends.